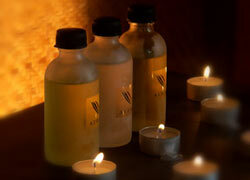 Bali Spa “The way to health is taking the scented bath and the oil massage every day” (Hippocrates, the 5th century B.C.). Aura Spa, Ubud provides you the best relaxation which makes your body emit aura of happiness with skilled techniques and aroma oil. Let them help improving your beauty from inside out! From Dec. 1st, 2012, spa is temporary closed because of renovation. Please choose another spa. Thank you! 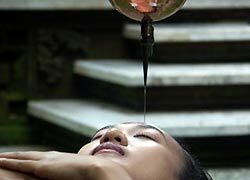 Shirodhara referred as & Third eye of the massage & is a gentle massage to give a press on massage spots while pouring oil from the middle of the forehead to forehead. It works directly to the brain, so has great effects on removing anxiety. You can choose Herbal Oil depending on your condition. The Human body has 3 energy called “Dosha” is running and the massage reset blood circulation to make a body flexible and remove stiffs and pains away from the shoulders. The therapists focus on where to massage depending on your body condition. This Ayurvedic rhythmical massage uses warmed oil to gain immunity and remove toxin from inside of the body. This facial treatment using special cream oil helps firming the features of the face and improves a complexion. Head and neck massage is performed while the guest is in sitting position. By improving blood circulation, inside of the brain and a scalp gains oxygen supplies which makes you refresh and prevent fallen hair. This relaxing massage using warm stones eliminates toxins, relieves stress, eases away tension and warms the body. 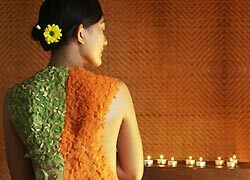 A full body massage with oil based on traditional Balinese massage techniques makes you relaxed physically and mentally. 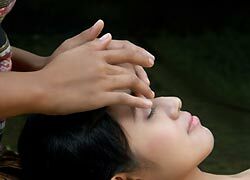 Head massage with oil relieves stress and effective for headache and insomnia. Traditional massage after head massage also removes tiredness. 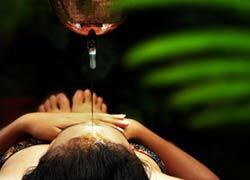 This is a traditional treatment that has been popular among ladies in Java and Bali. 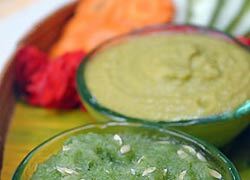 After the massage, scrub called “Lulur” removes horny substance and makes skins smoother. The course ends with Flower Bath and Cream Bath which is treatments for hair and a scalp after the Facial treatment with traditional herb. This package is mainly focus on treatment of Ayurveda including Abyhanga that improves immunity and removes toxin by using warm oil. It removes old horny substances and improves blood circulations. It also treats your skin to become softer. Your skin will become healthier and smoother as it should be. This is a hair and scalp treatment using special cream made of fruits and herbs. The treatment removes horny substance and makes hands (or foot) moisture. It includes hands (or foot) massage, a treatment for nail and nail polish. Free transportation is available in Ubud area. It is also available in Nusa Dua, Jimbaran, Kuta, Legian, Seminyak and Sanur areas with a charge. Transportation to the airport costs Rp. 300,000. Children can wait at the lobby. There are menus for children over age 15. The therapist in charge was a professional. I had always felt that my shoulder and hips strain, the massage focused on there. I was very relaxed with lavender massage oil. It was a great relaxing moment.